Under the Protection of Employment (Fixed Term Work) Act 2003, employees on two or more consecutive fixed term contracts where the aggregate term is or exceeds four years in duration may be entitled to a permanent contract unless there are objective justifications for not providing a permanent contract. It is not permitted to dismiss an employee during maternity leave where she has become entitled to a permanent contract. However, where an employee is on a fixed-term contract which ends before the last day of maternity leave, the fixed-term contract ends during maternity leave and the contract of employment terminates on that date. Although an employee’s entitlement to pay in respect of the maternity leave ceases from the date the contract expires, this does not affect the employee’s entitlement to the full 26 weeks of State Maternity Benefit. Although the entitlement of maternity leave is based on a statute which provides for specific protection for mothers and adoptive mothers, paternity leave is a contractual benefit. An employer who is accused of discrimination on the basis that he does not pay paternity leave under an employee’s contract, and yet pays employees on maternity leave above the State Maternity Benefit, would defend such a claim on this basis. The Government has proposed to introduce paternity leave with effect from September 2016. This will allow new fathers to take two weeks’ leave and receive a State Paternity Benefit of €230 per week subject to the father having made suitable PRSI contributions prior to the leave. As with maternity leave and adoptive leave, employers will not be obliged to pay employees for paternity leave. However, when this becomes a statutory right, employers should treat employees taking paternity leave in the same manner as it treats employees taking maternity leave or adoptive leave. This will avoid claims of discrimination by fathers on the basis that they have been discriminated against because of their gender. Although there is no statutory obligation on employers to pay sick leave, if employers are placing inconsistent restrictions on employees who are on sick leave either before or after other protected leave such as maternity leave/parental leave, there is a risk that this will amount to discrimination. The Employment Equality Acts prevent discrimination on nine grounds, including gender or family status. If an employee is on certified sick leave and the employer’s policy is to make a payment in respect of such certified sick leave, it should be paid even where sick leave follows or precedes maternity leave. Where an employee who is about to go on, or has just returned from maternity leave does not receive the payment for this reason, it is likely to amount to discrimination. Although there is no definitive judicial decision in Ireland on the subject, European and UK case law and is instructive on this topic. Firstly, there is a distinction between performance related bonuses, as opposed to bonuses payable in respect of ongoing status as an employee. Under European law, bonuses payable in respect of ongoing status as an employee would not be classified as “pay” within the meaning of the Pregnancy and Maternity Directive and should be paid in full to the employee. It would be discriminatory on grounds of gender to withhold such a bonus in relation to employees on maternity leave or additional maternity leave. However, in relation to performance related bonuses, Lewen v Denda,  E.C.R. I-7243 established that pursuant to the Pregnancy and Maternity Leave Directive, where a bonus is awarded for work performed in the previous year, the bonus falls within the category of “pay” of an employee’s normal remuneration, to which the employee’s entitlement does not continue during maternity leave. Therefore, there is no entitlement to that part of the bonus arising from period of maternity leave. However where an employee was on maternity leave only for part of the reference period, the employer is required to pay the proportion of bonus applicable to the time she was at work. 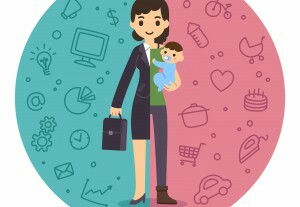 In some situations, employees may find that their working conditions have altered upon returning from maternity leave. It is important not to be intimidated out of pursuing your rights if this occurs. An example of such a situation was seen recently in Sylwia Schonfeld v West Wood Club Clontarf Limited , where an employee successfully claimed constructive dismissal. The claimant asserted that when she returned from maternity leave her hours were cut and she was expected to carry out her full-time position in part-time hours. It was claimed that the general manager constantly screamed at her while gesticulating with her hands in front of the claimant’s face, as well as raising her voice and using foul language. The claimant also explained that she did not use the grievance procedure as the HR position had not been filled and therefore she would have had to complain to the general manager. This effectively removed the normal requirement in a constructive dismissal case that the claimant had exhausted all internal procedures. The behaviour of the general manager combined with the lack of an appropriate manager to whom the claimant could submit her grievances meant that the claim of constructive dismissal succeeded, even where the claimant had not availed of the grievance procedure. NOTE: This article is for information purposes only; specific employment legal advice should be taken before relying on the information in this article. More information on our employment law service can be found here. If you are an employer seeking advice regarding maternity leave, or if you are an employee and need assistance in relation to maternity leave and maternity contracts we would be delighted to assist you; contact us by e-mail via info@halpinsolicitors.ie, or call the office on 021-425 1843.